WHAT IS A STRETCH LADDER? A Stretch Ladder is exactly what it sounds like. It is a ladder used for increasing flexibility in all areas of your body. It’s main function is stretching the #oversplits but this ladder has many uses to stretch out your legs, hips and back. 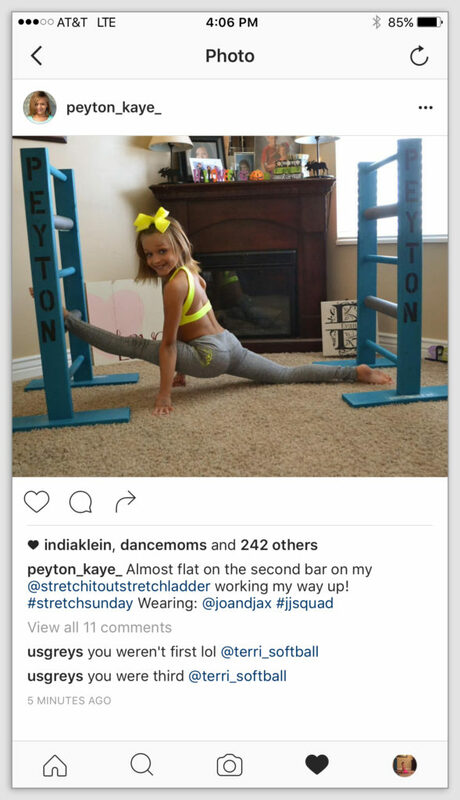 Stretch Ladders are 30 in height with 4 rungs and is the perfect barre for all dancers. Stretch Ladders come with 2 comfort pads and personalization is available to make it uniquely yours. 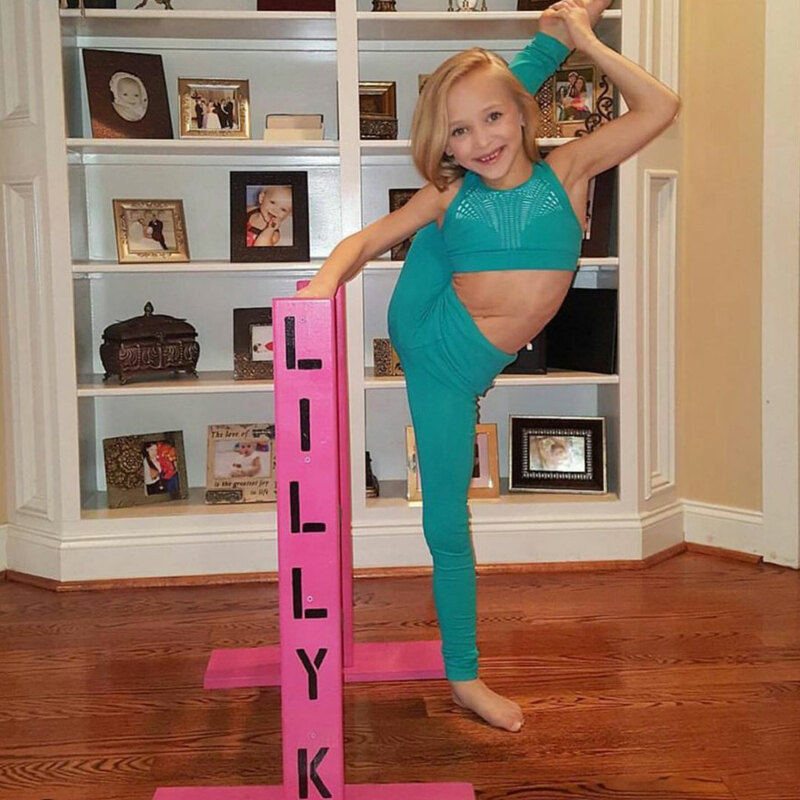 We can personalize your stretch ladder with your personal or studio name. WHO TRAINS WITH OUR STRETCH LADDERS? With a portable Stretch It Out Stretch Ladder you can train anywhere. 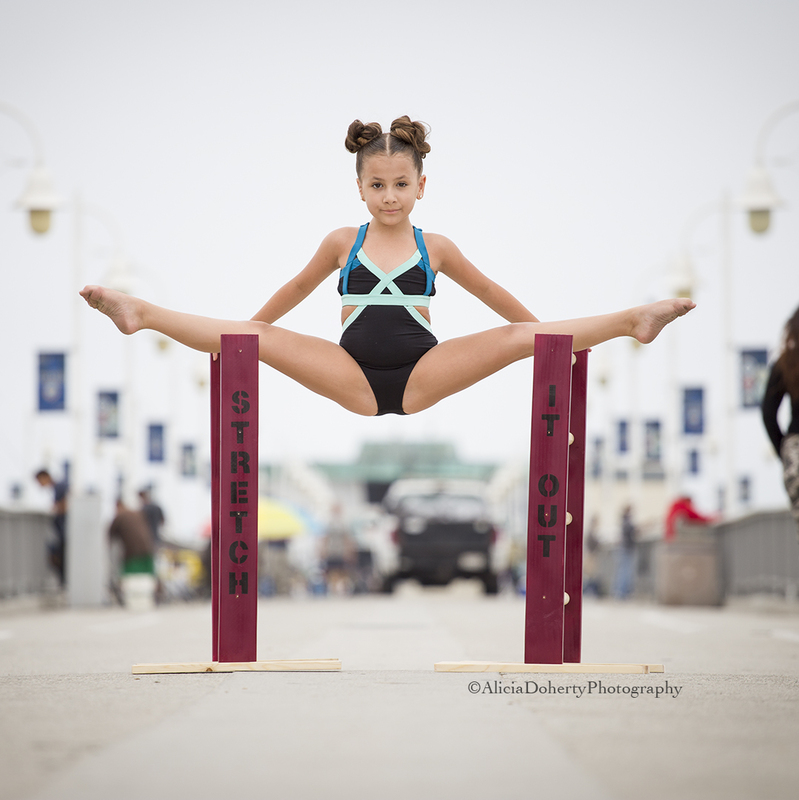 This ladder is perfect for dancers, martial artists, yogies, cheerleaders, ice skaters, Gymnasts, aerial artists and circus artists or anyone else hoping to increase their flexibility. Every Stretch Ladder is custom made with a personalization option in your favorite color to make it uniquely yours. It is known that better flexibility will improve your performance as well as decrease your risk of injuries. Our Stretch Ladders are designed to help you improve your flexibility so you can perform your best. With a 30 in height and 4 rungs it is the perfect barre for all dancers and athletes to stretch back, hips, and legs. 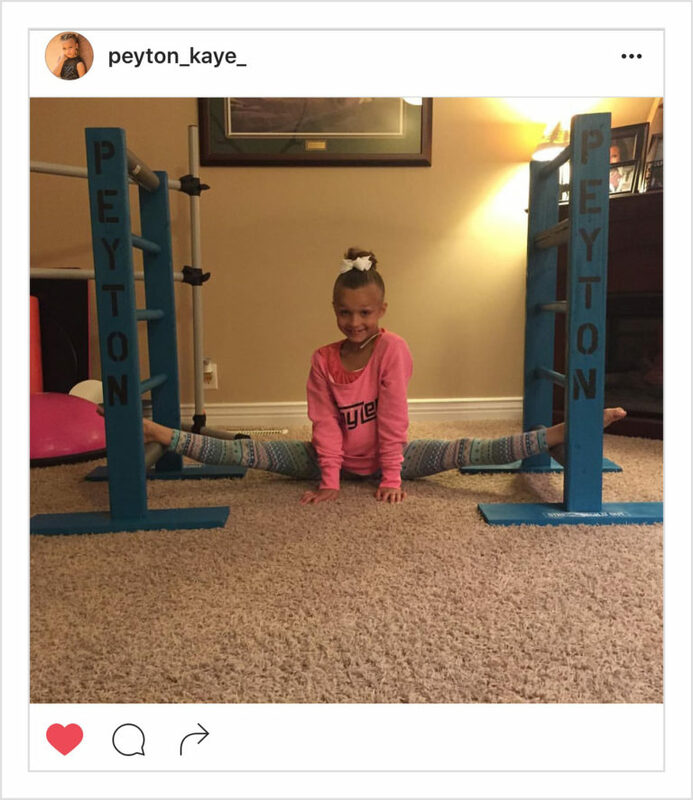 From Lifetime's Hit TV Show Dance Moms with her new personal customized Stretch It Out Stretch Ladders!